Continental ContiCross Contact™ LX offers great handling characteristics and a quiet ride. Continental ContiCross Contact™ LX offers great handling characteristics and a quiet ride. ContiCross Contact™ LX is for medium to heavy 4x4 vehicles. 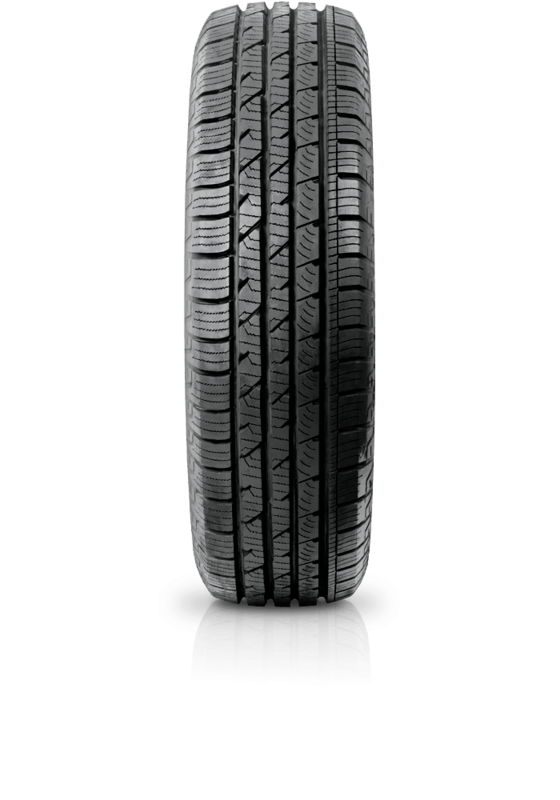 This tyre provides good handling and braking properties even on easy terrain. The design ensures very good aquaplaning resistance and reduction in tyre damage by hindering stones from getting caught. Characteristics make for precise steering response and very good straightline performance while guaranteeing that the tyre rolls smoothly and quietly.